I was contacted by a V-22 pilot who is interested in flying civilian HEMS/HAA. He wanted help getting a job, and I feel obligated to help other pilots when I can, as others helped me. As I am learning about this powered-lift "catch-22," it becomes apparent that this problem needs attention from the Federal Aviation Administration. 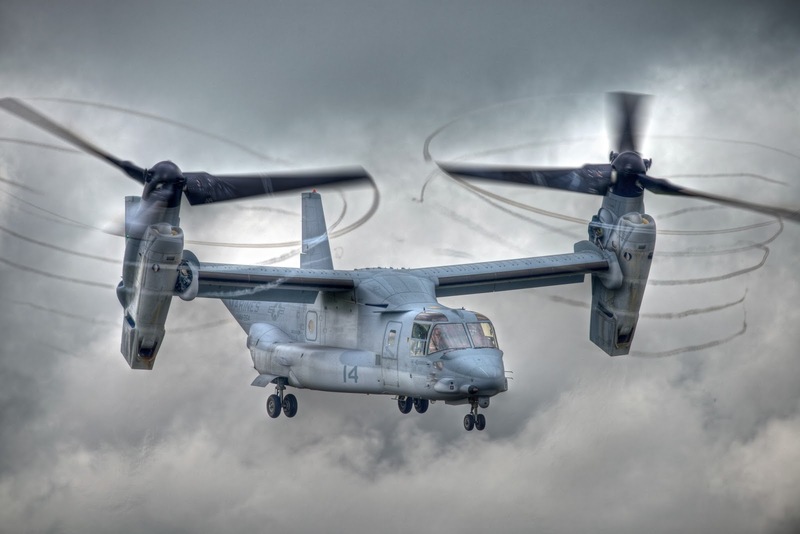 A V-22 pilot can fly a machine that can behave like a helicopter - or - an airplane! But their skills and experience are not recognized as such. So here's the thing. A pilot who demonstrates exceptional skill during military training - and is able fly both as an airplane pilot AND a helicopter pilot - gets credit for neither skill upon separating from military service. This will tend to discourage the best pilots from entering the powered-lift arena, and will hurt the United States' military. If V-22 time is worthless to a pilot who might want to fly for either Delta OR Air Methods, no pilot will want to do it. There aren't many, if any, powered-lift jobs in the civilian sector. Clearly, the FAA needs to remedy this situation. 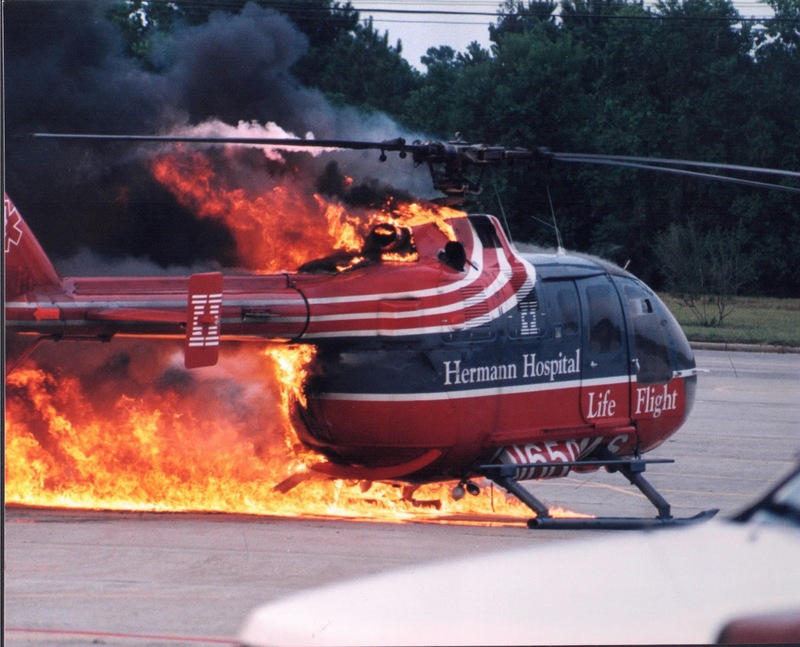 Helicopter flight requires a skill-set distinct from airplane flight. The first thing that comes to mind is dealing with the torque reaction from applying power to a rotor system. And then there is hovering... I was a Chinook pilot for 13 years. Chinooks don't react to torque, as the counter-rotating rotor systems cancel torque effects. In fact, a Chinook is so different from single rotor helicopters as to perhaps be considered a different category of aircraft... But it's not. It's a helicopter. A Chinook pilot's flight experience, gained in the military, is a marketable commodity upon separation. We may be a little slow in the toes at first but we figure out which pedal to push. A V-22 pilot is, at present, denied the ability to market her skills as either a helicopter pilot or an airplane pilot. And she has been both! When a V-22 is hovering, it's a helicopter too. It resembles a Chinook, with a lateral rotor arrangement versus a tandem one. V-22 pilots have to learn all about the pitfalls of rotorcraft flying, like vortex-ring-state/settling with power, and retreating blade stall, and then they have to learn all about the peculiarities of fixed wing flight, like stalls and spins and minimum controllable airspeeds. Clearly, a V-22 pilot gets taught and tested on two separate categories of flying machine, and they get credit for neither. And this is going to mean that the only career-pilots who fly them will be the pilots who can't make the cut for a more marketable flying experience. Please help. V-22 pilot time should count for both helicopter pilot time AND airplane pilot time, because these pilots have demonstrated that they can be both. Denying them credit for the skill-sets they have worked so hard to acquire isn't just unfair to them, it will adversely affect our military. It was an absolutely beautiful day. 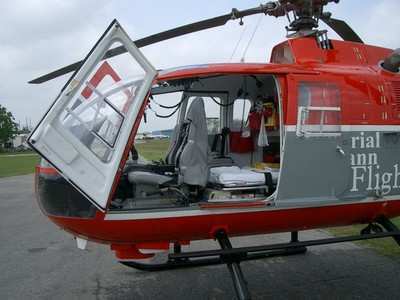 The pilot, nurse, and paramedic were enroute in their progam's backup aircraft, a Bolkow BO-105. As they motored across the flat terrain near Houston, Texas, a new and different whining sound began to emanate from the machinery overhead. Bobby Wisdom, the pilot flying, looked over at the nurse sitting in the aft-facing co-pilot's seat and noticed that she was looking at him. She said, "what is that?" "I don't know." But Bobby knew that the new sound wasn't good. His training took over and he immediately lowered the collective and began looking for a place to land. As he glanced across the nurse he saw a large field out her door. Then he swung his head to the right and found an even better option, a mall parking lot at three o'clock. He began a hard turn to the right, with the collective full-down. There was a loud bang. The caution panel lit up as if the test-button had been pressed. The panel was shaking violently making it hard to read the instruments. In the turn, he wondered if he still had power from either engine, so he gently increased collective. The rotor bled down to 85% so he immediately returned the collective to the down-stop to save what rotor RPM he had. He thought the rotor RPM might come back up in the hard right turn, but it did not. As Bobby rolled out on final, indications were that he had suffered a dual engine failure, and he had less than a full measure of stored rotor-energy to complete his autorotational landing. He adjusted the cyclic to avoid some light poles and then the woman appeared. Directly in his path, a mother pushed her baby carriage into the place he wanted to land. Bobby gently adjusted the controls to avoid hitting the mother and her baby, using a bit more of his rotor RPM and stored energy. The aircraft touched down and began to slide. And slide. And slide. Trees - dead ahead. After desperately wanting the aircraft to keep moving forward, he now desperately wanted it to stop. Flames and smoke began to enter the cabin. Training took over. As all of us crew members know, the safest place to be in a helicopter that has just suffered an abnormal landing is inside. As bits and parts fly off, they tend to fly away from the aircraft. The unhinging can be extremely violent. The one caveat to the "stay inside until everything stops" mantra is that if it's burning - we better get out. What we have to keep in mind at this point is that it would be a shame to live through the emergency landing and lose our head in the egress. Unfortunately, when we are scared to death, it's hard to keep anything in mind other than MOVE. A passerby on the highway was returning from a picture-taking trip in Hooks, Texas. 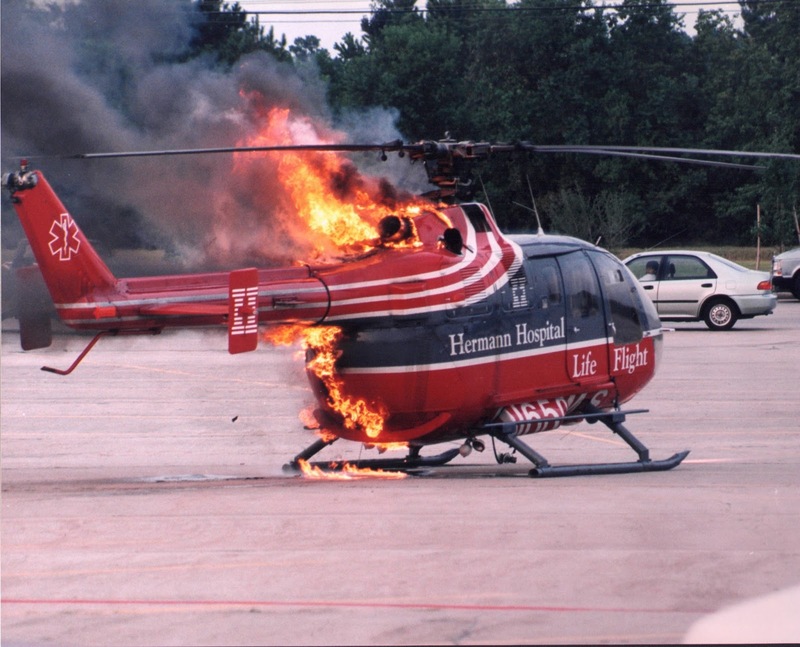 He saw the helicopter drop into the parking lot and begin to burn. He stopped, got out of his car, and used the last seven frames of film in this camera to capture these dramatic images. You can see the headset hanging down below the cop-pilot's door. What started as a localized fire quickly turned into a fully involved blaze. This demonstrates why it is absolutely vital that when there is any indication of fire on your aircraft you land immediately. You don't have much time after the fire begins. The investigation revealed that the main transmission had been serviced and cleaned with a compound designed to remove deposits from the interior surfaces and oil passages. Some of the cleaning compound remained in the passages after maintenance was complete, and served to block the flow of oil to the input-bearings, where the drive-shaft from one of the engines entered the transmission. The whining sound was the bearings seizing, and the drive shaft broke in two. "Bang." As the sheared shaft and it's boot flailed around inside the engine bay, fragments of debris crossed through the firewall and "fragged" the other engine. 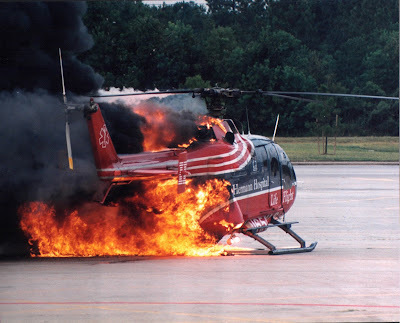 I wrote a fictional blog-post about this happening in a twin-engine helicopter in the clouds. That fictional story is here..."What If?" While two engines do offer us a large margin of redundancy, and increase safety, we still must keep in mind that one exploding engine can take out it's partner sitting right next door. We must be ready and proficient at autorotations; straight-in autos. autos with turn, low-level autos, and autos requiring maneuvering to avoid hazards and humans. The trend towards less rather than more autorotation training is going to mean more people will be hurt or killed after losing one or both engines. This reality is playing out in newspaper stories month after month. Operators point to the costs of damaging aircraft in training, and the low probability of engine failure. That's all fine and good until it's your engine that quits. 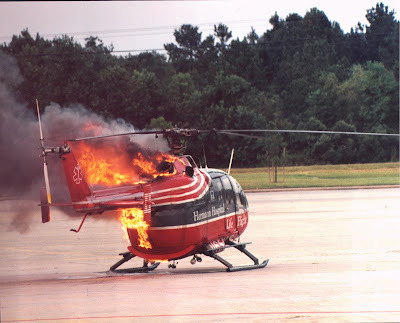 If you have been paying attention to the media reports, helicopter engines have been failing quite regularly lately. Maybe we should revisit how we prepare pilots for engine failures. And maybe us pilots should stop flying the helicopter as if the engine or engines will never quit. 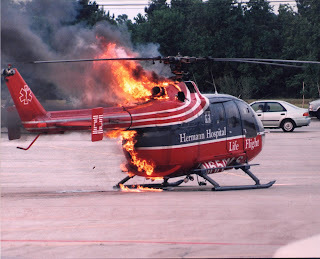 Mr. Bobby Wisdom, Memorial Hermann Lifeflight Pilot, was recognized widely following this event. 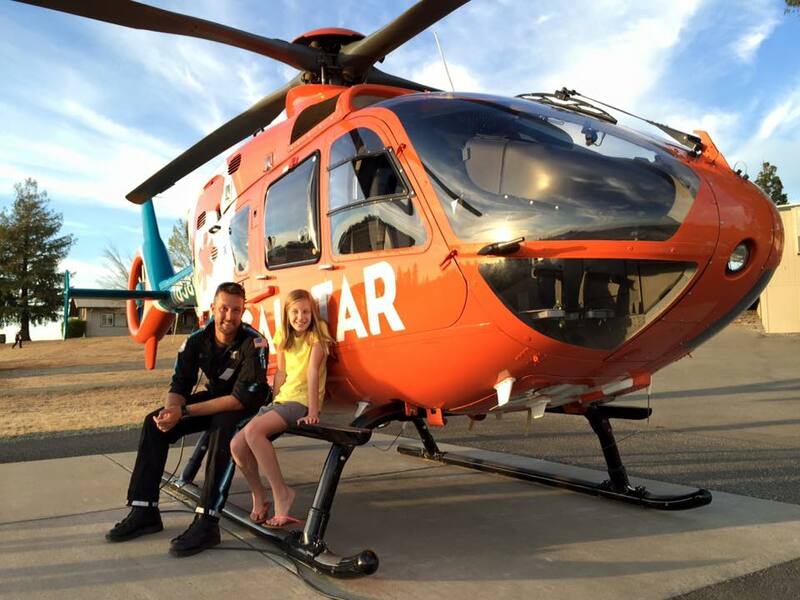 He was selected to be the National EMS Pilot's Association's (NEMSPA's) Pilot of the Year in 1996. This was and is a distinct honor, congratulations sir, and thank you for decades of safe service. A Post From Blog-Contributor and Flight Nurse Josh Henke : You Can Say No! This is an open letter to my peers, my cohort. Editors note - as depicted in Airbus Helicopter's excellent video, "That Others May Live," pilots, being humans, can get caught up in "driving forward, getting the job done, finishing the mission." We are susceptible to a sort of "mission intoxication," You may be the last line of defense against this. And it may mean you have to accept spending hours in a bus. That acceptance may save your life. under the collar, but mostly, I feel kind of guilty. I feel that we may have let a group of our peers down. You might think I’m taking this a little personally, but let me explain. on shift? How is this not a mantra; the very cornerstone of what we do? You can say no. don't feel like you have the authority to say no. But i promise you, you can say no. And if you don’t think “no” is appropriate, try asking a question. If your pilot or partner can't give you a good answer, the next step is “no." Does this scenario make you comfortable? to the ambulance to go by ground. You can say no. then you need to find a new program. Anyone that is willing to sacrifice your life for a patients - or a paycheck) - and maybe both, does not deserve your time, your education, your skills or your loyalty. give you an educated, descriptive answer with a plan, its time to start thinking about no. That scenario? I feel pretty good about that, don’t you? If you're nervous, ask questions. If the answer isn't a good one, say no, or seek a better answer. If the plan for for the flight goes against things you've been taught, say no.